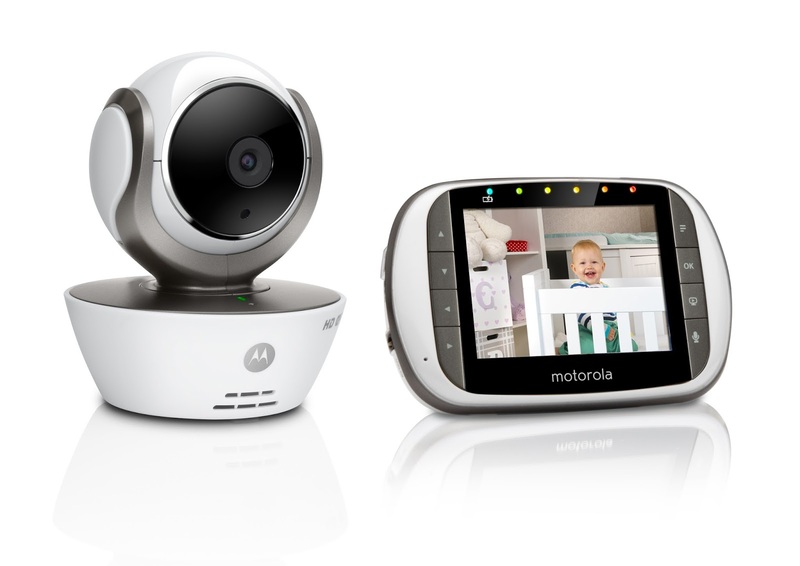 The MBP853 Connect is a HD WiFi connected video monitor with a 3.5" colour LCD parent unit that live stream's video from the camera in the baby's room. I'm not afraid of technology, so had it been a challenge to set up, I'd have welcomed the challenge, but I honestly have to say, you really couldn't get much simpler to set up. In the box was the monitor and power lead, the camera and power lead, the battery and battery cover and the instruction leaflet. Putting the battery into the monitor was very quick and simple and then the battery cover screws on quickly & easily. The next step is setting it up. Again, a very simple process. You put the camera in the baby's bedroom and the monitor wherever you want it. 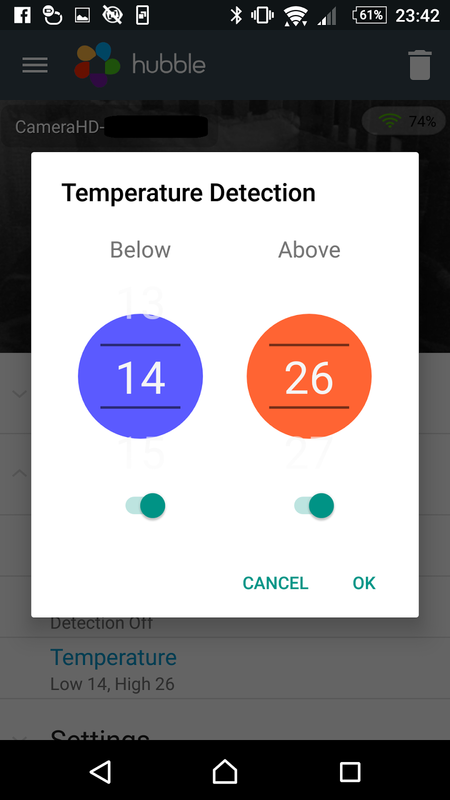 You switch them both on, then press the sync button, nice & easy. 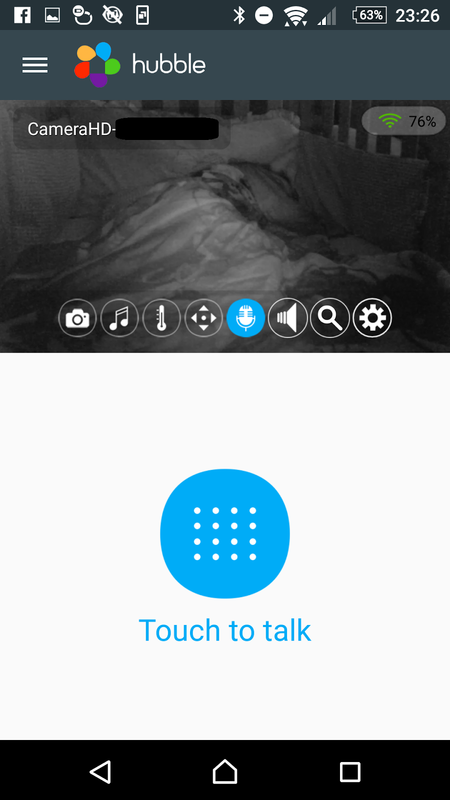 An added feature for this baby monitor, is the ability to download the Hubble app on your smartphone or tablet (on iOS or Android) - meaning you can keep an eye on your baby from anywhere, not just where the monitor is. 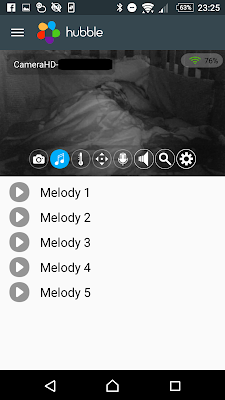 You can also download it on your PC for viewing only - the setup has to be done on the app. You can hear sound and watch your baby live on the monitor or on your phone/tablet. It also detects motion. 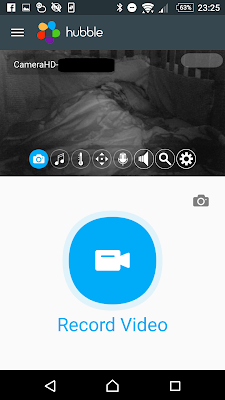 You can even pan and tilt from your device or the monitor, meaning you can adjust the direction the camera is pointing to see your baby from a different/better angle without having to go in their room to do it & risking disturbing them. 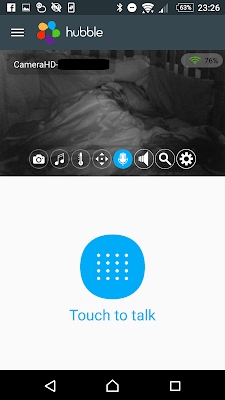 You can also talk to your baby through the monitor, if they wake up alarmed, you can reassure them by talking to them. 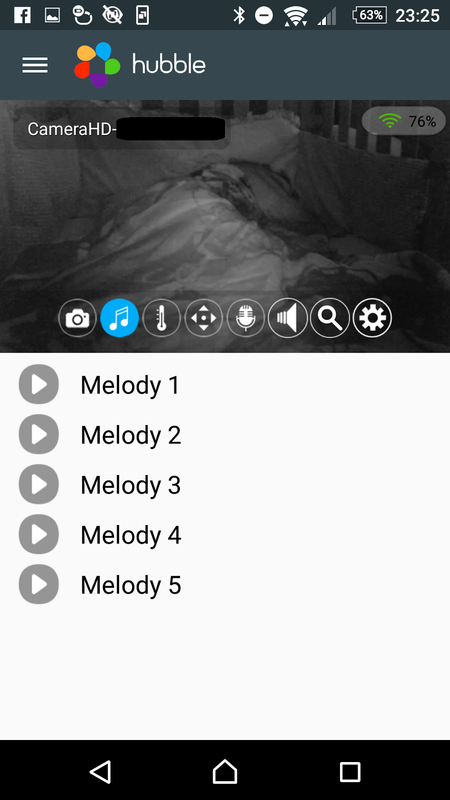 Another great feature is the ability to start playing one of 5 pieces of soothing music to calm your baby. Again, this is something you can control from your device through the Hubble app or via the monitor. 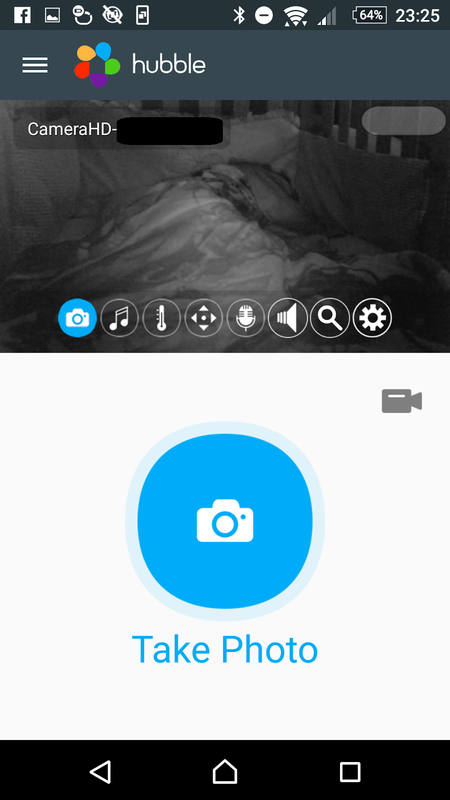 You can also take photo's or video's from the app on your device, so if you'd like to take some sleepy photo's or video's to treasure, this is a perfect feature too. 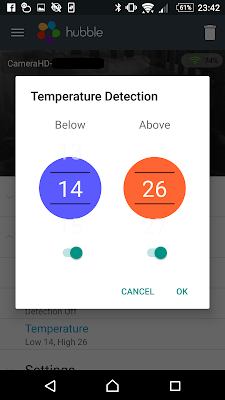 Another really good feature of the system is it detects and monitors room temperature, meaning you can make sure your baby is not too hot and not too cold. 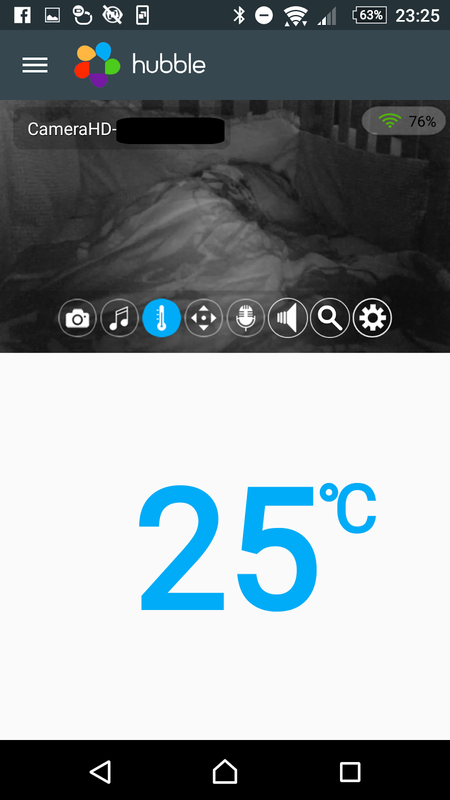 You can also set an alert to let you know if your babies room is too hot or too cold. 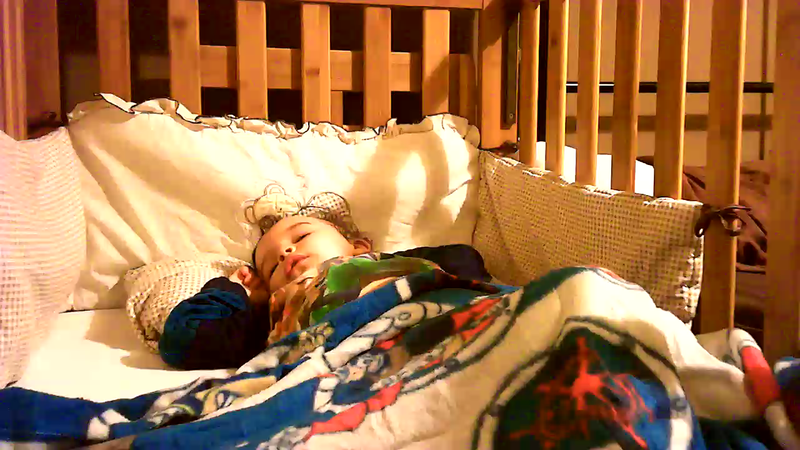 The monitor is very versatile. 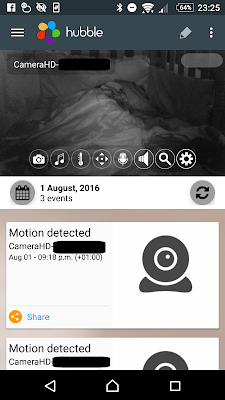 You could just as easily use it as a home monitor when you are away on holiday. That way you can keep an eye on your home while your away via the Hubble app on your phone and you'll get a notification if any motion was to be detected in the room. 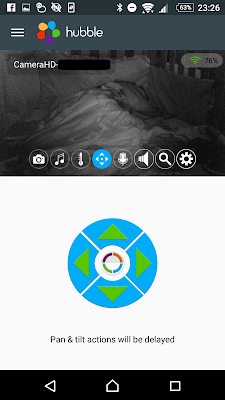 You can also add additional cameras if you wanted to monitor more than one room. The MBP853 Connect is available now and retails at around £169.99.